Robert oversees the day-to-day administration of Team Play, Women’s Team Play, Scratch League and SCGA Golf Leagues, including providing support for team captains, club officials and participants. In addition, he assists the department by conducting numerous qualifiers and championships throughout Southern California. 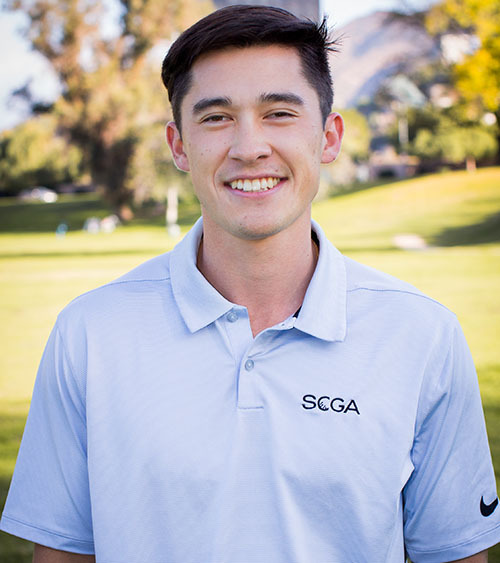 Prior to joining the SCGA, Robert interned at the Carolinas Golf Association where he gained experience working with the USGA Tournament Management Program. A former First Tee volunteer coach, Robert earned a bachelor of arts in exercise and sports science – sport administration from the University of North Carolina at Chapel Hill. Robert also worked at the UNC Finley GC as a golf shop attendant as well as completed an internship with the Hurricane Junior Golf Tour. What is your dream foursome? "Roy Williams, Michael Jordan, my dad and I." "The game of golf has introduced me to some amazing people and taken me to some beautiful and scenic places. With a career in golf administration, I can honestly tell myself that I love what I do every day." Contact Robert Reid at: rreid@scga.org.